I graduated from UNCA with a major in sociology in 2008. While at UNCA, I interned at Eliada Home, an agency providing residential treatment to youth with mental and behavior diagnoses. My semester interning helped me gain confidence in working with a challenging population and also helped launch into a part-time employment position once my internship was completed. After having put in 2 semesters worth of work, I felt prepared to apply for a full-time Residential Couns elor position. Throughout my time at Eliada, I rose to a team leader position and had the opportunity to help develop and implement a new treatment model in one of the facilities. It was a time of growth and exploration for me. Despite working in a high crisis, high intensity work environment such as a residential treatment center, I loved the work I was doing. I knew then I wanted to be a professional social worker and decided to apply to grad school for my Masters in Social Work. I wanted my MSW degree but I wasn’t quite sure what exactly I wanted to do with it. Therefore, I chose a grad program that offered an “Advanced Generalist” degree, meaning I would learn about micro (i.e. one-on-one counseling), mezzo (i.e. community organizing), and macro (i.e. social policy change) social work. This journey took me out to Colorado State University in beautiful Fort Collins, CO. Taking 2 years to work in the field before entering grad school served me very well. Instead of requiring the GRE, the MSW program at CSU required you have at least 400 hours of experience in the social work field in order to apply; there seems to be a growing shift towards this approach. While at CSU, I completed two internships, both again in youth work. After graduating with my MSW, I wanted to return to Asheville and possibly try something a little different. 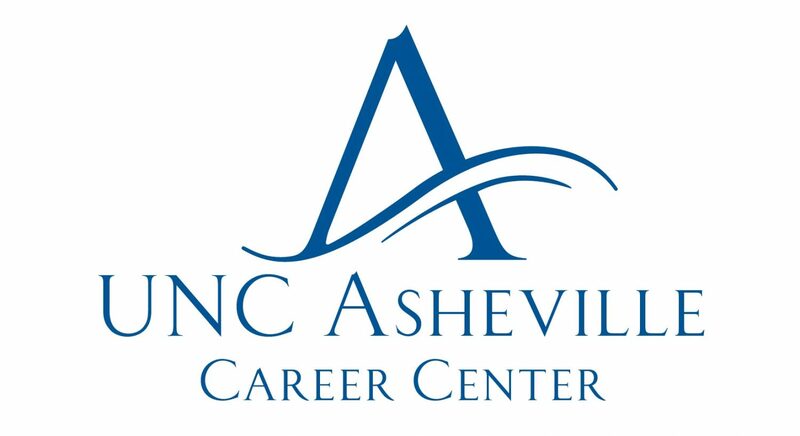 Asheville presents a bit of a challenge in the social work field as the market is a little saturated with social workers, depending on the position you wish to work. It took 6 long, stressful months of job searching before I landed my first post-grad job. In November 2012, I began work as a housing case manager with Homeward Bound of WNC. I work to find homes for homeless individuals using the Housing First model. The Housing First model functions on the premise that there are no pre-conditions to getting housing. An individual does not have to be sober, have a mental health provider or even have a job prior to being housed. The model makes sense, it is hard to acquire a job when you do not have an address or phone number for employers to regularly contact for employment opportunities. By making housing the first step, the other things come “naturally” with the support of case managers. Since adopting the 10 year plan to end homelessness in Asheville in 2006, Homeward Bound has housed 955 individuals as of June 2014. Further, 89% of those who have been housed have remained housed. After housing, the most indicated factor for success is practical and relational support; people stayed housed when they have people in their lives to listen to them and collaborate with them. Whether it is tackling the challenge of lack of access to proper health care or even celebrating small joys such as having a cookout with their new neighbors, it matters and it works. I am thrilled to work for an agency making real change in our community and whose work I deeply believe in. Sure, some days are incredibly tough and systematic challenges may make my efforts seem hopeless but I’ve seen our work producing real results so I keep moving forward. I’ve learned through my experience in the social work field that it is important to be flexible. During my time with Homeward Bound, I’ve worked on three different grants. There are constant changes being made in larger systems such as state budget cuts and restructuring of managing agencies that influenced my having worked 3 grants. Luckily, I work for an agency that always had a place for me no matter what happened in the larger political and bureaucratic environment. Therefore, it is also important to stay informed. Check into both local and national politics regularly to see how it may influence the population you serve and you personally. Perhaps even more important, advocate when you see problematic change occurring. Sign petitions, contact local officials, volunteer, donate, join a committee, whatever you can realistically offer. Often the voices of those whom we work for (i.e. at risk youth, people experiencing homelessness), simply aren’t accessible or heard by the larger decision-makers therefore, making advocacy work essential to solving societal challenges. When applying for employment, I advise applying for an agency, not necessarily for a position. I actually applied for a part-time behavioral specialist job at Homeward Bound but after my resu me was reviewed, my application was considered for an upcoming case management position. I knew I was highly interested in the work Homeward Bound was doing so I applied even though part-time work was not what I wanted or needed; my decision served me very well. Creativity is a highly valued asset to offer any agency. When I was finishing up grad school and applying for jobs, I identified a company I really wanted to work for but they were not hiring for a position I felt would fulfill me while also benefiting them. So at the encouragement of my professor, I did some research and wrote a job description for a position I felt I would fit perfectly and they would see the merit in. I emailed it to the general inquiry address and it generated enough interest that I had an exploratory interview with one of the senior managers at the company. Although I was not offered a job, I certainly felt I made an impression and got my foot in the door for a future opportunity. Finally, sometimes in our strong desire to help others, social workers don’t leave much time for professional development. I’m still learning to “do now” instead of later. In other words, go to that free training offered to you even if it doesn’t fit the work you’re doing today. I mean, 1) it’s free and 2) it could serve you well in the future as you move to other agencies and through different positions. Access resources such as a local professional association for networking, read literature that develops skills such as negotiating, and ask lots of questions when you encounter someone with a position or agency of interest to you. UNCA was just the start of a long and fulfilling professional journey for me. I felt encouraged by my professors that it was okay that I didn’t have my career planned from day one on the job to retirement, or even to the first couple of years! I am a firm believer in experiential education. I was taught some very important skills and general “know-how” while at UNCA but even more learning occurred once I started working and interning. My senior thesis for my sociology degree was about the culture of Appalachian Trail through-hikers. A theme I kept running across in my research was that there is no way to train to through-hike the A.T. than to through-hike the A.T. This idea makes great sense in social work as it is “social.” You best learn to serve people, by serving people.